Top end of the property market is the most volatile. As our property markets slow down due to rising interest rates and falling consumer confidence the top end of the markets are again showing their usual volatility. RPData-Rismark analysis shows that prices at the premium of Sydney’s property market have fallen 7.5% over the six months to the end of September, and in Melbourne prices at the top end are down 10.8%. And this is just how the top end has behaved in the past – displaying a high level of volatility compared to the broader ‘middle’ range of the market where prices are holding up well due to strong demand. During the GFC premium house prices fell considerably more than the broader market. Over the 2008 calendar year the top 10% of the residential property market saw a 14% fall in Sydney, while Melbourne’s top end saw prices fall by 12%,Brisbane’s high price properties declined in value by 10% decline and prices in thePerth premium market fell by a whopping 18%. Then as the general economy picked up in 2009 the top end of the residential property market significantly outperformed the broader market. 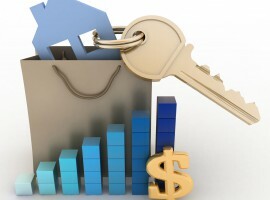 In Sydney prices were up 16%, Melbourne’s 18%, Perth’s 13% and Brisbane’s top end properties increased in value by 10%. While the lower end of the property market is more interest rate sensitive, demand at the prestige end of the market fluctuates in line with the general economy. When businesses and the share market are doing well, buyers at the top end feel secure and wealthy and pay premium prices to live in a small group of select suburbs. They’ll pay extra for that trophy home. But when things quieten down or the share market falters, the top end holds back and property prices drop.